Any bar or restaurant can drop prices on well drinks and dish out reheated sliders for a couple hours. Pshh. Only a few places actually make Happy Hour happy, stretching your dollar while offering a quality booze and tasty snacks. Here are the Pasadena Happy Hours that check all the right boxes. Elina Shatkin, this is for you. With a $16 Wagyu burger and $9 margaritas, Manhattans and daiquiris, social hour at the posh steakhouse is on the pricey side. But considering that cocktails here normally start at $15, that's a deal. At least there are $5 craft beers to go with the $2.50 hamachi shots, $4 oysters and $8 furikake potato croquettes. Happy Hour: Monday - Friday, 5 - 6:30 p.m.
111 N. Los Robles Ave., Pasadena. 626-486-1111. Happy hour prices at the Arbour only apply at the bar so stake out a seat and stuff yourself. Start with a $5 cheese plate, followed by the $6 chef's selection of oysters and finish with a $7 cheeseburger and $5 garlic fries. Cheap drinkers will appreciate the prices: $5 draft beers, $6 glasses of wine and cocktails like an $8 Old Forester Old Fashioned and a $9 Black Cow vodka martini. Happy Hour: Monday - Sunday, 4 - 6 p.m.
527 S. Lake Ave., Suite 120, Pasadena. 626-396-4925. For a no-fuss happy hour with your co-workers, Bodega Wine Bar in Paseo Colorado, grab a seat on the patio and split a couple of $9 pizzas and, on Wednesdays, a $25 bottle of wine. Or stop by on Taco Tuesday for $2 tacos and $5 Micheladas. Every day of the week, however, you can knock back $4 beer and $6 soju drinks. Happy Hour: Monday, all day; Tuesday - Sunday, 5 - 7 p.m.; Sunday - Thursday, 10 p.m. - close. 300 E. Colorado Blvd., Pasadena. 626-793-4300. Right now, Bone Kettle only offers drink specials for happy hour, such as $5 for craft beer on tap (such as Ommegang Hennepin Saison, which is regularly $10) and $7 for house white, red and rose wines. 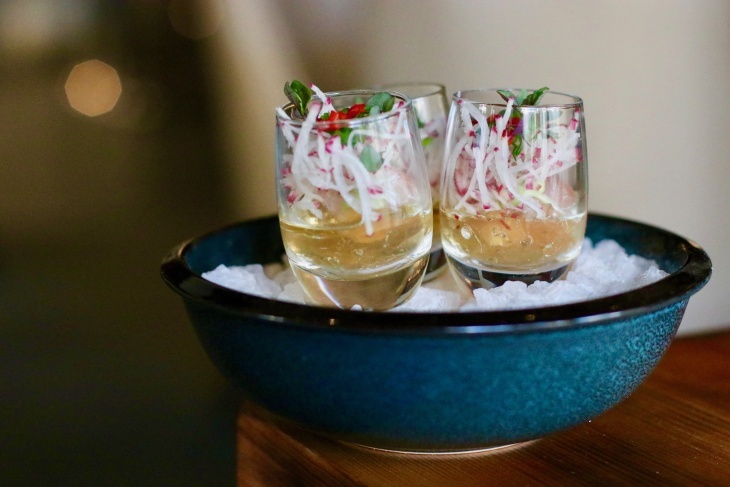 But owner Eric Tjahyadi promises the stylish Southeast Asian restaurant will soon offer discounted bar bites. Fingers crossed it includes their amazing chicken wings. Happy Hour: Monday - Sunday, 11:30 a.m. - 2:30 p.m.; Monday - Thursday 5 - 7 p.m.
67 N. Raymond Ave., Pasadena. 626-795-5702. Unwind after a long day by taking in some nature, and by "nature" we mean views of a golf course and the San Gabriel Mountains. The golf club restaurant, which is open to the public, has a lengthy happy hour every weekday. On Taco Tuesdays, they also serve $1 street tacos and $5 margaritas. Grab a seat on the covered patio and watch people tee off (do golfers play in the late afternoon?) while sipping on $5 well drinks or margaritas, $4 domestic draft beers and $4 house wines. Bar bites are crazy cheap: $2 bacon blue cheese dip, loaded tater tots, buffalo wings or chips with salsa and guacamole. Happy Hour: Monday - Friday, 3 - 7 p.m.
1133 Rosemont Ave, Pasadena. 626-585-3594. Grab a seat at the bar in this Old Pasadena Mediterranean restaurant to unlock happy hour prices. Once you do, it's $6 for sangria, draft beer or your choice of dishes like grilled calamari, curry shrimp and saffron clams. Spend an extra dollar and you can choose select wine by the glass, well drinks and specialty cocktails. Happy Hour: Monday - Friday, 4 - 7 p.m.; Friday 4 - 6 p.m.
64 W. Union St., Pasadena. 626-564-4200. Come for the fried chicken and crack snacks, stay for the discounted drinks. At the Crack Shack, you get $3 off beer and wine and $4 off specialty cocktails like the Scramble, a vodka blackberry mule that usually costs $12. Happy Hour: Monday - Friday; 3 - 6 p.m.
30 W. Green St., Pasadena. 424-901-0077. Head down the Mills Place alley in Old Pasadena, where you can celebrate happy hour every weekday until closing time at a lively gastropub. For Monday Madness, all appetizers and alcohol are half price. On Wine Wednesday, wine and sake are half price. On Tasty Tuesday, Thirsty Thursday and Foreplay Friday 'Tinis, mixed drinks and bottle beer (including Old Rasputin) are a mere $3. For those who like to chair dance while they imbibe, there's live music on Tuesday, Wednesday and Friday. Happy Hour: Monday - Wednesday, 4 p.m. - close; Thursday - Friday, 11 a.m. - close. 22 Mills Pl., Pasadena. 626-564-8656. 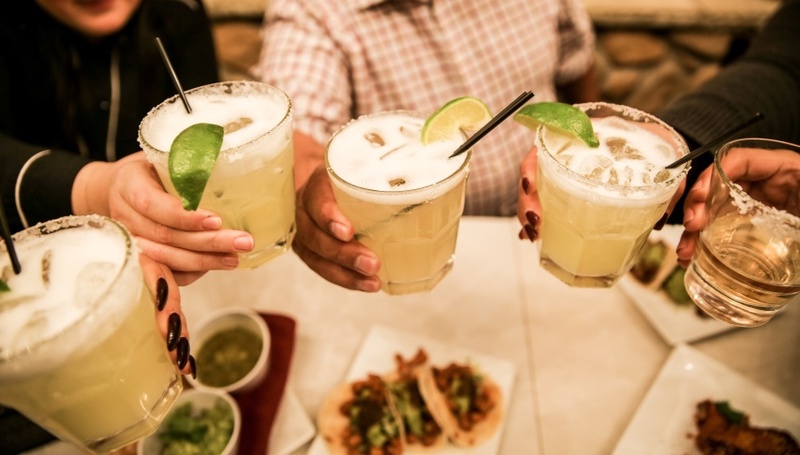 Considering that happy hour here starts at 11 a.m. and anyone in the restaurant, not just patrons at the bar, can enjoy the discounted drink prices, it's a good thing LGO is located at the Del Mar station. You don't want to drive after sipping on $7 well drinks, highballs and select beer and wine. 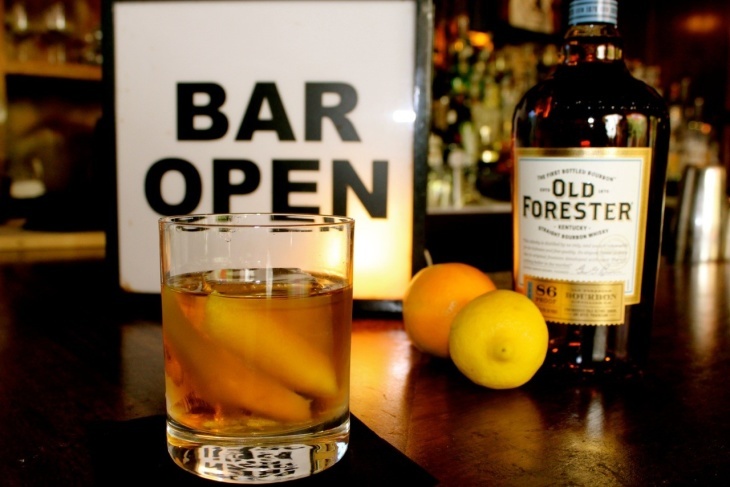 Consider trying a $9 signature cocktail such as Your Money or Your Life, made with Old Forester Bourbon, benedictine, curaçao and orange bitters. Famished? Stop by on a Monday or Tuesday when you can order a second entree for only $5. Happy Hour: Monday - Friday, 11 a.m. - 7 p.m., Sunday 7 - 9 p.m.
260 S. Raymond Ave., Pasadena. 626-356-4444. A fiver goes a long way at Magnolia House's happy hour, with draft beers by local favorites Craftsman and Eagle Rock Brewery, glasses of wine, well drinks and house sangria — all for $5. If you need more sustenance than $5 deviled eggs and hummus, discounted bar bites include $7 drunken nachos, $3 Belgian fries (regularly $6) and $9 tuna poke tacos (regularly $13). Happy Hour: Monday - Friday; 4 - 6:30 p.m.
492 S. Lake Ave., Pasadena. 626-584-1126. Wake up! it's valentine's day and we have new cocktails for everyone! The happy hour here only runs from 4 to 6:30 p.m. during the week but — and this is crucial — they also do a weekend happy hour. There aren't many places where you can spend a lazy Sunday drinking on the cheap, whether it's a $4 Corona, a $5 Modelo or a $7 margarita. Food specials aren't cheap but Mercado takes a few bucks off certain items such as the $9 choriqueso (regularly $12) and the $6 poblano strips (regularly $8). 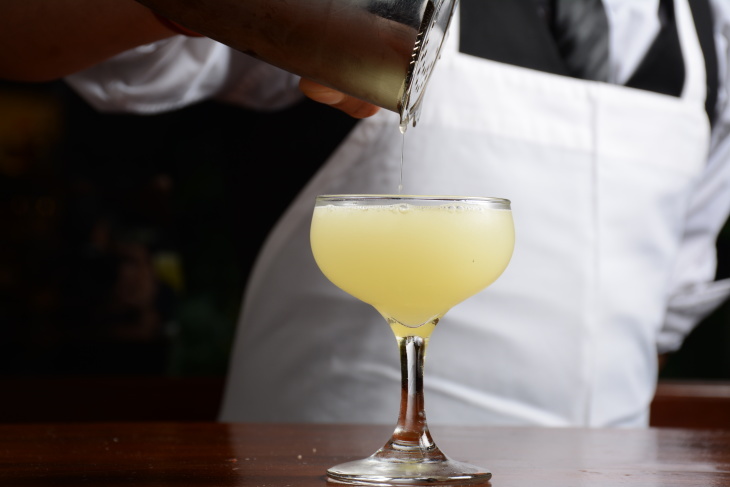 Stay past happy hour and sample their list of more than 70 tequilas and mezcals. Happy Hour: Monday - Friday, 4 - 6:30 p.m.; Saturday - Sunday, 4 - 6 p.m.
140 S. Lake Ave., Suite 101, Pasadena. 626-345-5778. Hallelujah! The Pasadena bar that appears on every "Best L.A. Bars" list has a happy hour. You can enjoy it in a gorgeous historic space with plenty of patio seating and an outdoor fireplace. Or cozy up to your office crush inside the dim, intimate bar. Drink specials include half-off well drinks, $5 craft beers, $5 select glasses of wines and a $7 cocktail of the day. All the hearty bar bites — mac and cheese, steamed mussels and short rib tacos — are also half-off. Happy Hour: Tuesday - Thursday, 4 - 7 p.m.
1250 S. Fair Oaks Ave., Pasadena. 626-441-3136. You can't go wrong with a happy hour that offers $6 garlic truffle fries, a $9 burger and $7 Old Fashioned variations made with rye, tequila or cognac. Adventurous drinkers can opt for the $8 bartender's choice while basic boozers (no shame in that) can get $2 off draft beer and wine by the glass. 41 S. De Lacey Ave., Pasadena. 626-583-9013.